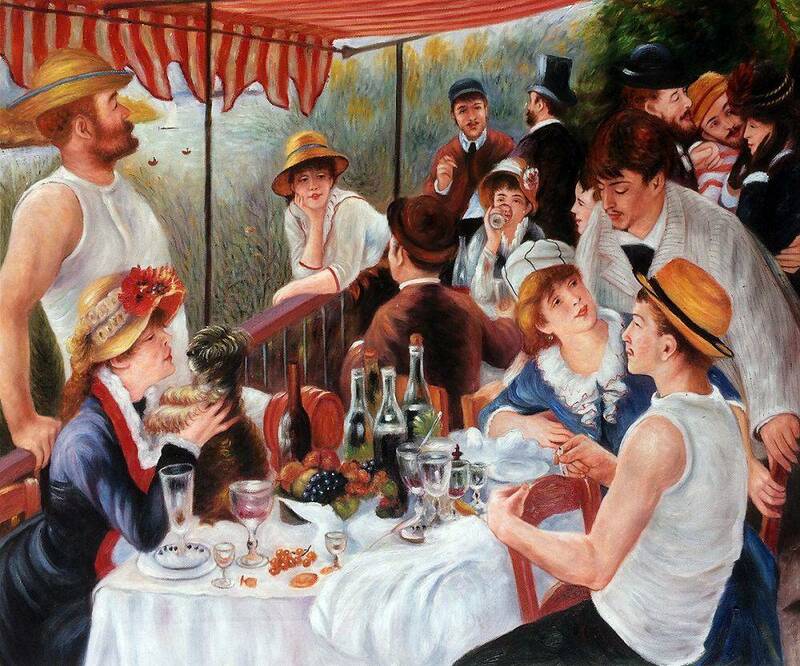 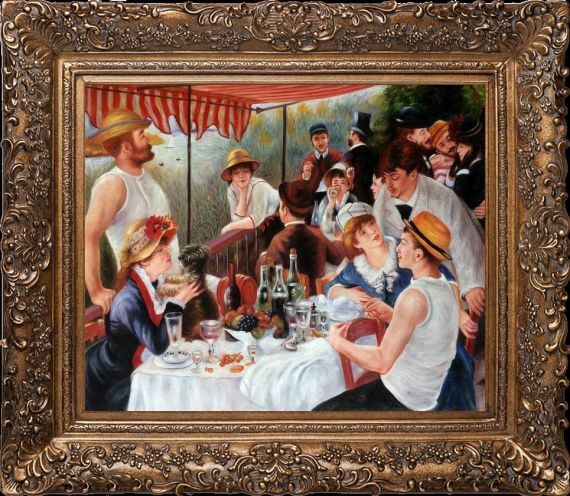 For fans of Renoir, Luncheon of the Boating Party exhibits the artist’s finest skills in one unique masterpiece. 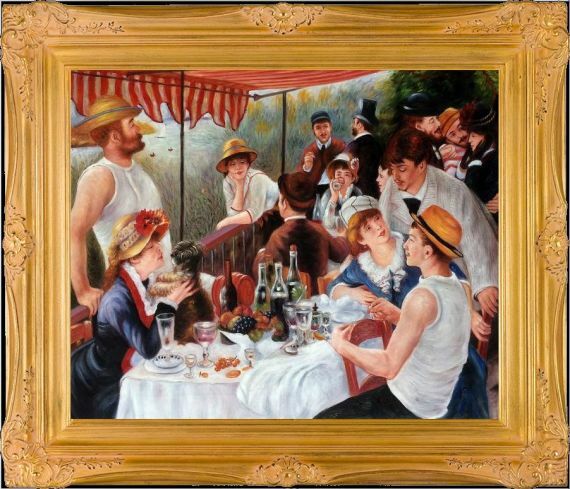 This exciting and romantic scene from the 1881 is hand-painted with the artist’s integrity in mind. 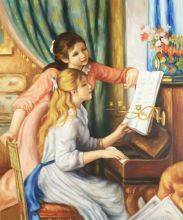 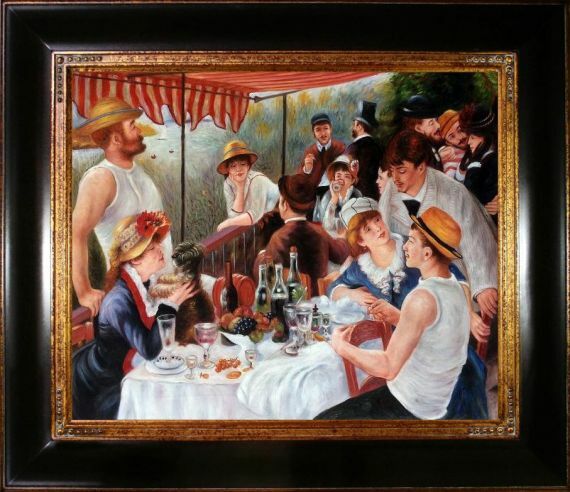 High-quality canvas and attention to detail bring to life your very own copy of this Luncheon of the Boating Party reproduction. 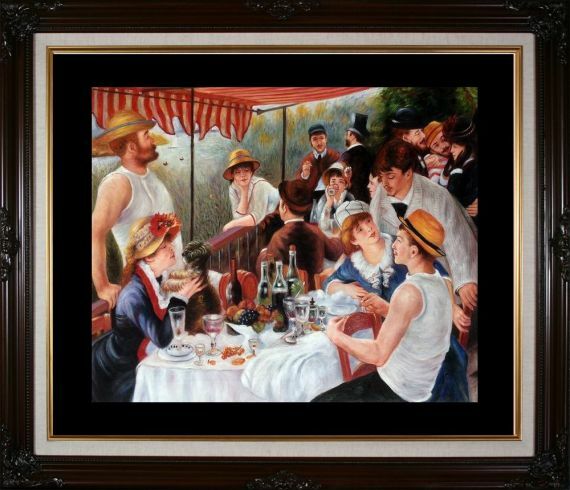 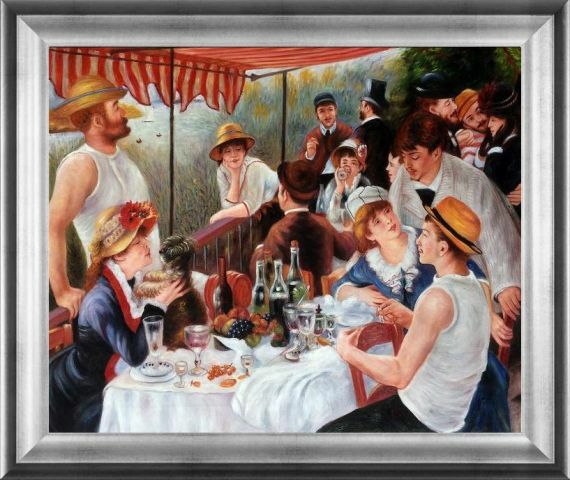 Our Renoir reproductions come with a certificate of authenticity and you can choose from one of our wide selection of frames, which also include hanging hardware, so you can hang this Luncheon of the Boating Party reproduction with ease and pride anywhere in your home.